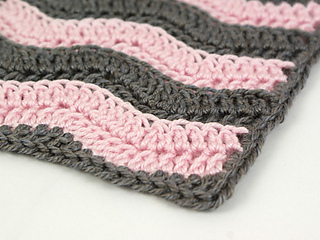 The gentle waves of this ripple are highlighted by the ribs at the edge of each stripe. 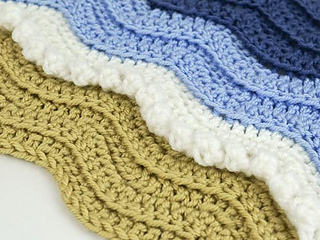 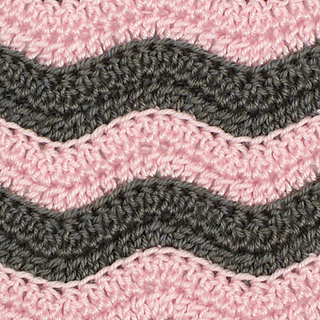 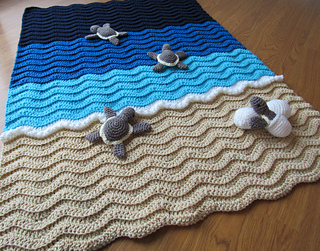 The Ribbed Ripple stitch pattern works up into a beautiful blanket with a wave stripe repeat in any 2 (or more) colours, or make the Turtle Beach version with sand and sea colours, either as an afghan square, a playmat for aquatic toys, or a full blanket. 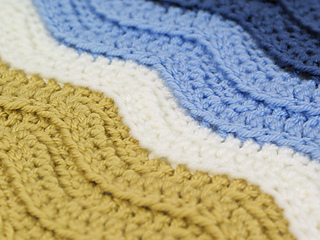 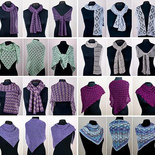 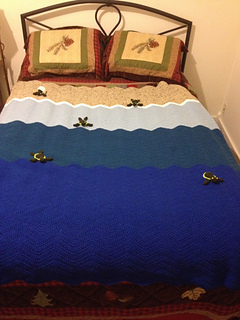 Size: any size blanket/square of your choice, but the pattern includes specifics to make a 10”/25.5cm square and a 3ft x 4ft (36x48”, 91x122cm) blanket. 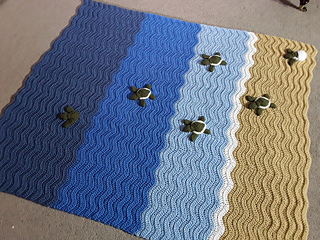 Please note: to complete a Turtle Beach blanket, you’ll also need some turtles (pictured in some of the photos here). 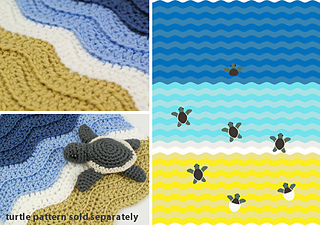 The Baby Sea Turtle Collection pattern is for sale separately, from my shop. 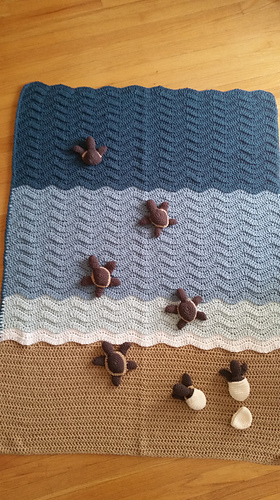 They are not included as part of this pattern. 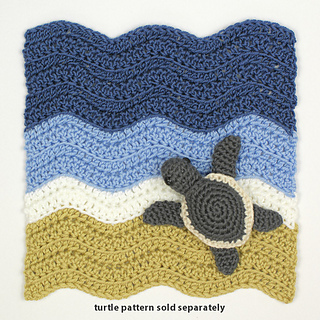 This free pattern includes specific instructions to make a 10” Turtle Beach square, my Ribbed Ripple stitch pattern (written and charted), and general instructions for making a larger Turtle Beach blanket.